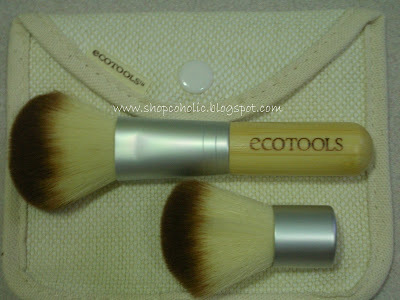 • Bamboo handle has a low impact on the earth’s resources as it is a highly sustainable plant. • Apply powder or mineral foundation all over face in a circular, buffing motion and work inward towards nose. • Use with liquid or mineral powder concealer for more coverage on blemishes and under eyes. • Expertly cut to apply and blend powder eye shadows. • Buff powder over areas that need more coverage. I really love looking and touching these brushes! Sooo soft! 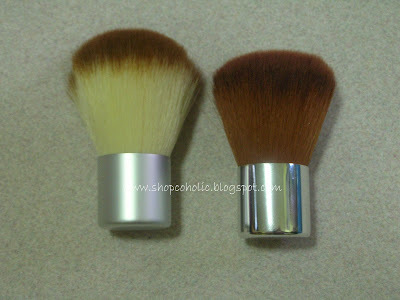 Powder Brush - perfect for highlighters and loose/pressed powders. The hair is soft and dense. Kabuki Brush - so cute! 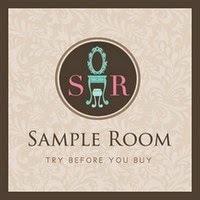 You can use this for blush or loose powders for a sheer finish. Eyeshadow Brush - the hair is fluffy, its to big for a crease brush. I use this for eyeshadow base and highlight color under brows. 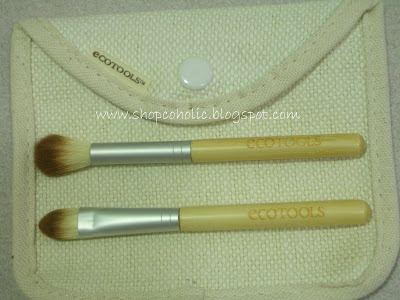 Concealer brush - firm yet soft! I use this for cream concealer for the undereyes. I love them! A must have set.. Not that expensive too! And its kinder to the planet coz they use recycled materials. The brushes are 100% Vegan. 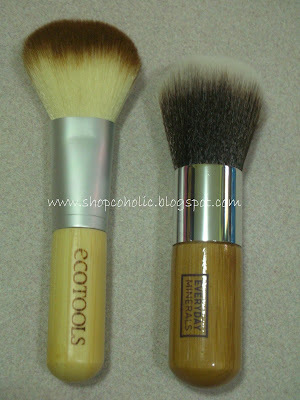 The Ecotools Kabuki brush hair are fluffier compared to Ellana Buki therefore, it gives sheerer coverage. 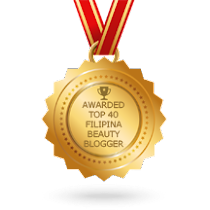 =) I use my Ellana buki for blush application. I'm still waiting for my other brushes to arrive. Will post it soon..
Hawww, I'm so jealous! I've been camping in the makeup aisles forever! I'm on a serious hunt for these. I just really want that buki. KHYM!! How much? 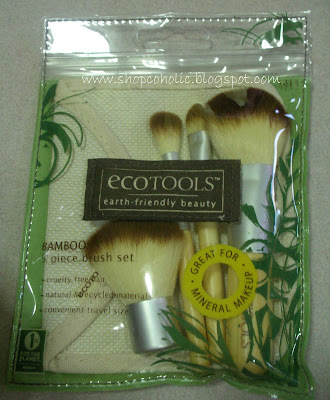 I want this 5 brush set hehe just handy!